Weather that allows for year-round outdoor living is one of the main reasons newcomers are drawn to Southern California, and it is one of the benefits of SoCal living that encourages locals to stay. For most of us, this means creating a backyard oasis where we can dine outdoors, watch the kids play in the pool, cozy up around a fire pit or swap grilling tips while we barbecue with friends. Our great weather lets us use our backyards to the fullest with patio herb gardens, vegetable gardens, play areas, putting greens, swimming pools and inviting lawns bordered by flowerbeds that are always in bloom. We like our front yards too, but most homeowners do not consider their front yards another option for outdoor living. While a desire for privacy as we relax or pursue outdoor hobbies makes a preference for backyard living understandable, it is the front of our houses that welcome us home, greet our guests and are primarily responsible for our home’s curb appeal. If chatting with neighbors and waving to joggers as they trot by appeals to you, then you might want a cozy place to enjoy your morning coffee on your front porch, but even homeowners who prefer the tranquility only a backyard can offer should still get in on the growing trend of pretty porches that make a more inviting façade for their homes. If you are considering selling your home now or in the future, this is even more important, but curb appeal is not just about attracting buyers. It is also an important part of creating a home that you want to come home to, providing a welcoming atmosphere for your guests, and doing your part to keep your neighborhood looking nice and a great place to live. Of course, how you decorate the inside of your home and landscape the outside of your home is an extension of your personality and personal style, so the entry to your home also says something about who you are. If you do not think this is true, just think of the homes you drive past each day and the information you get about the residents simply from what they have in the front yard or on the porch. A front porch filled with toys or sports equipment gives off a very different impression than a spotless entry with rain chains, simple seating and a soothing fountain. Your front yard and porch are the first things people see when they drive by or approach your house. This means that this oft-neglected area is responsible for the first impression your home gives to passersby and visitors. Whether you want that first impression to be welcoming, warm, elegant or sophisticated, you can create the look you want by sprucing up your porch and entry. 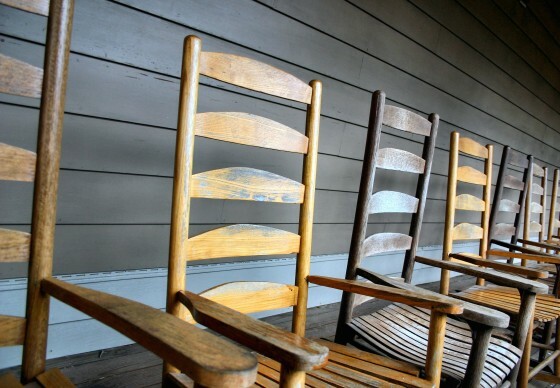 A Census survey regarding new home construction found that two-thirds of the homes built in 2011 had a front porch. This increase goes along with a growing trend of Americans preferring smaller homes in more urban settings that allow for more social interaction and the ability to walk as a form of transportation. This does not mean that suburban sprawl will be ending any time soon, but it does show how both retirees and younger homeowners that lean more towards green lifestyles are pushing the housing market towards offering more community-based living opportunities. There was a time when a front porch was a must-have feature where neighbors gathered to share news, catch up on gossip or relax in the shade with friends. Then came television, air conditioning and, later, the Internet – all of which encouraged people to spend more time indoors in climate-controlled environments where they could easily get news and information without the need for social interaction. Busy schedules and less leisure time also pushed homeowners to begin to do most of their outdoor living in their backyards where they could relax without the fear of time-consuming conversations with neighbors, which were once a thing to look forward to. 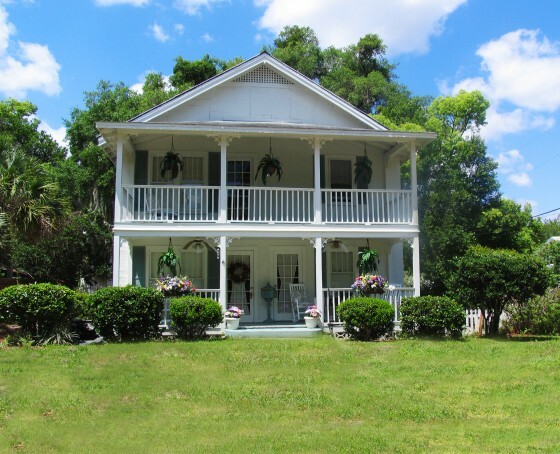 With this cultural change, front porches began to fall out of fashion and were no longer seen as a strong selling feature for newly constructed homes. As a society, we began to pull our cars into our garages, enter our homes through an adjoining door and never see the front of our homes again until the sun was rising and it was time to leave for our morning commute. A growing interest in eco-friendly living and a renewed desire for increased social interaction within our communities is causing another cultural shift with a greater emphasis on walkable neighborhoods, simple living, increased reliance on public transportation and a move back towards the days when spending the evening on your front porch was the norm. Some may like how front-porch living makes for safer communities or how they increase outdoor living space, but most homeowners report the enhanced curb appeal offered by a front porch as a particularly strong selling point. Whether you add a covered, wrap-around porch that exudes Southern hospitality or a simple, elegant entry of paving stones leading to a cozy seating area, a well-designed porch is the perfect way to enhance your home’s curb appeal and create a welcoming first impression for all who pass by. Sprucing up your front porch or entry is a great way to extend your outdoor living space beyond your backyard and to create a more relaxing environment to which you look forward to coming home. The first step in renewing the life of an existing porch or entry is to clear the clutter. Whether it is cleaning supplies, toys, yard debris or sporting goods cluttering up your porch, you do not want the first thing you see when you come home from a long day of work to be a pile of stuff that reminds you that you have chores to do. We all know that a cluttered home is far from relaxing, but returning home to a cluttered front yard is just as stressful. A cluttered porch is also much less inviting and probably does not give off the first impression you would like your home to give. Once you have cleared the clutter, it is time to take a good, honest look at the front of your home. Walk out to the street to experience the view a guest, neighbor or potential buyer would see when approaching your home. 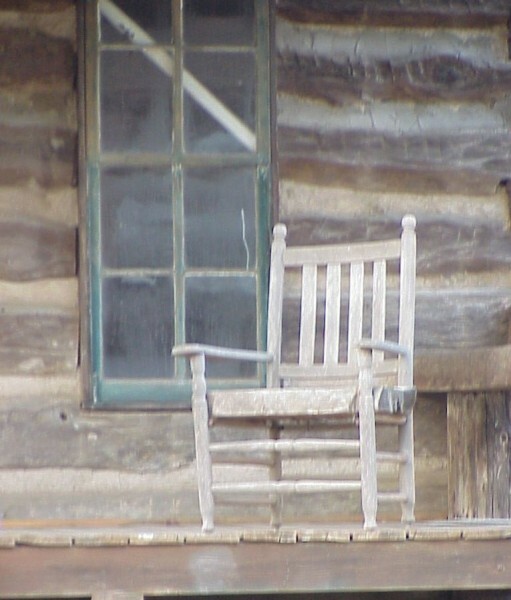 Is the paint on your porch peeling? Are there tree branches blocking the walkway or hanging dangerously close to your covered porch? Is your concrete path cracking or wooden steps warping? Are the light fixtures on your porch or lighting the way to your door dated, dirty or rusty? 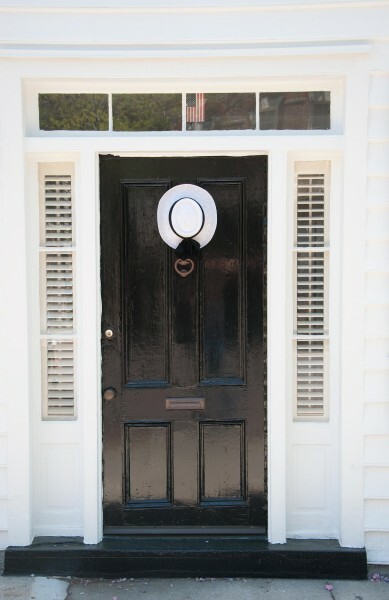 Investing in updated light fixtures or an inexpensive paint job is an easy way to spruce up an older front porch without making a major investment in a complete overhaul. If a cracked concrete walkway or porch is cramping your style, you may want to consider upgrading to pavers, rather than attempting to fix the cracks. Concrete repairs are possible, but matching the original color perfectly is next to impossible, and you can be sure that more cracks will appear as your concrete continues to age. Seating is a requirement for porches that are meant for outdoor living or for creating an inviting façade for your home. Even smaller porches can usually accommodate some seating, such as a small bistro set or a single rocking chair, but if space allows, you may want to opt for a cozy outdoor sofa with cushions. This will make for a comfortable place to enjoy your morning coffee or curl up with a good book. A porch swing is also a great addition that pays homage to simpler times and immediately makes your front porch look like a comfortable place to hang out. Plants are a great way to pretty up your porch and can add a splash of color to homes painted in neutral tones, which is common in San Diego and throughout Southern California. Too many plants or flower pots will make your porch look cluttered, so stick to a few containers or flowers, hanging flower pots along your railing or plants hanging from the ceiling of your porch. If you have flowerbeds or a flowering border along the walkway leading to your porch, make sure the plants you choose as porch décor complement the colors already blooming in your front yard. Screened-in porches are a common sight in the South where flying insects of all sizes pose a threat to relaxing evenings outdoors. While San Diego may not have the same variety of bugs for which the Deep South is so well known, there are still flies, mosquitoes and other annoying pests that may have you thinking twice about enjoying our great weather as the sun goes down. A screened porch is an easy solution to this problem, but not everyone likes how they look. If you opt for high-quality screen and add screen cleaning to your to-do list, a screened porch can make for a more comfortable outdoor living experience without taking away from the visual appeal of your home. While patio curtains are a great idea for the backyard, when used in the front they can block your view of the street and close your porch off from neighbors, which goes against the purpose of a front porch. However, they are a simple solution for providing shade, blocking the sun and keeping bugs at bay. If you strategically hang your porch curtains to block the sun without completely cutting off your street view, this décor option can add to the overall look of your porch and make it a more comfortable place to spend the afternoon. An outdoor ceiling fan is another great way to cool off your porch while also keeping the air moving and warding off flies. A pretty porch can only enhance your home’s curb appeal so much if it leads to a boring or dated front door. Your front door is the entrance to your private realm and sets the tone for what visitors will expect inside your home. The color you choose should give a hint to what they will find inside, but it should also set you apart from your neighbors and make a statement. Like an accent wall in your living room, your front door is your chance to add a pop of color to your porch and to show people just how bold, welcoming, formal or natural your personal style is. San Diego is home to a wide variety of architectural styles, including an array of Spanish, Spanish Revival, Craftsman and Mid-Century Modern homes, as well as plenty of beach bungalows and Arts and Crafts houses. A simple wood door stained in a rich, natural hue provides a welcoming entrance for Craftsman-style structures, while an arched wood door or grander entrance perfectly complements Spanish-style homes. Mid-Century Modern homes can often benefit from an elegant, glass-paneled wood door, while traditional architecture lends itself well to boldly painted doors in red or black. 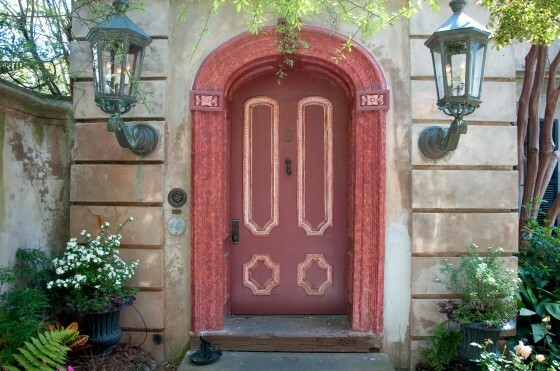 You can also soften a formal entry with a whimsical hue or add sophistication to a simple entry with a strong color. The color you choose for your front door, and for your porch, should complement your home’s exterior and give an idea of what is inside. San Diego is filled with historical homes that have stunning examples of traditional front porches. Many of these homes have been transformed into businesses that welcome walk-in traffic, making pretty porch ideas just as important for commercial establishments in this area. 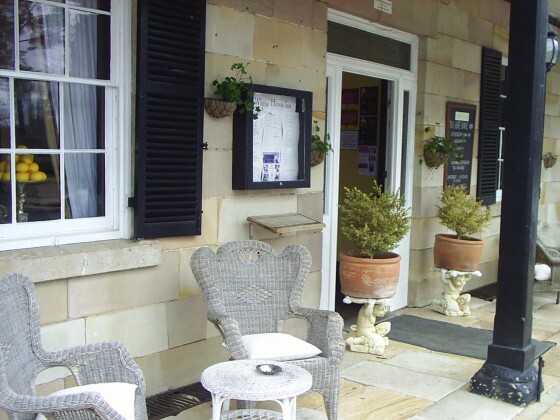 If your home or business does not currently have a front porch, you may be able to add one, if space allows. Adding a raised porch made from wood or a composite material, or a ground-level porch crafted from river rock or paving stones, is a great way to add the traditional charm of a front porch to your home. It is also a great way to enhance curb appeal and make your home or business more inviting to visitors. If you do not have the space or budget to add a porch, you can still create an inviting entryway with a patterned paving stone walkway leading to a brightly painted front door or stepping stones winding through your lawn to a stately entrance. Photo Credits (in order of appearance): stock.xchng, iwd; stock.xchng, ljleavell; stock.xchng, theswedish; stock.xchng, lhumble; stock.xchng, theswedish; stock.xchng, yvonnelauc.